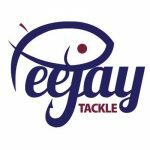 The Big One is always a great day out, a chance to see some of the latest gear, mingle with the stars and also grab yourself a bargain. 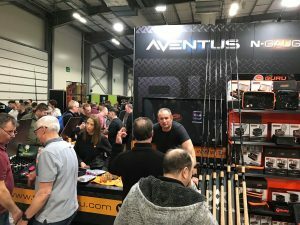 Leading up to the show, I was a little disappointed when I saw the list of exhibitors and the two I always make a beeline for, Bait-Tech and Gillhams, weren’t on it. I’d also wanted to get another winder tray and winders for my box but Matrix weren’t there this year either! I picked Hurf up and we made good time, the first thing we noticed was that the parking problems from last year seem to have been resolved, we didn’t have to queue and walked straight into the venue (after paying of course!). 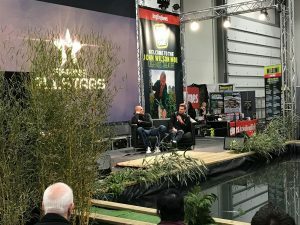 After a quick walk round, we noticed Daiwa and MAP weren’t in attendance either but that still left Guru, Preston, Maver, Rive and Garbolino for the match angler, there were loads of stands for carp and lure fishing as these two branches of our sport continue to be as popular as ever. The Korda and Guru stands were packed out and I was hoping to pick up a few bits and bobs but the new Guru floats which look awesome were only on show and they didn’t have any for sale, similarly I was looking forward to picking up the new Micro Cubes to try out but they weren’t available either! 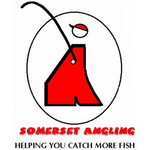 I did buy a nice new landing net though. 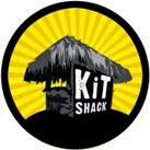 We met up with the lovely Hayley, Phil Spry and Steve Cowley for lunch and I had the same as I had last year, pulled pork on a bed of chips with crispy onion bits and barbecue sauce and it was bloody lovely! I didn’t mind paying the £7 for the food but £2 for a bottle of water was a bit naughty! 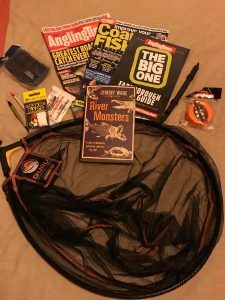 Me and Steve both had a go on the raffle/tombola stall (which was raising funds for the Professional Anglers Association I believe), I won a Guru baseball cap which I let Sally (Hurf’s wife) have for running when we got back and Steve bagged up again, winning a reel, Dvd and some hooks! The John Wilson legends stage, which was new for this year, went down very well with the crowd and we caught a little bit of Dean Macey and Adam Rooney who were both as good on stage as they were on the telly. 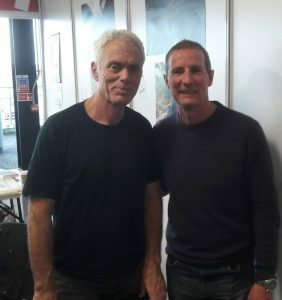 There was a huge queue to get books signed by Jeremy Wade and every time we walked past, it wasn’t getting any smaller, in the end Hurf bit the bullet and joined the long line and I went for a wander, when I got back after nearly an hour, he was only three or four from the front. 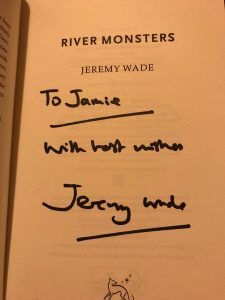 He got us both a signed copy of Jeremy’s book which was reasonably priced at a tenner and I’m looking forward to reading it, I’ll write a quick review when I’ve finished it. We still had time for a coffee and Hurf bought a load of Dave Harrell floats from the great man himself and I had a nice chat with Richie Hull on the Garbolino pole alley before we headed home. As always it’s a great day out and as we get up there around lunch time, four hours or so is more than enough time to see and do what we want to do and if you get there at 13:00, the entry fee is £8 instead of £14. 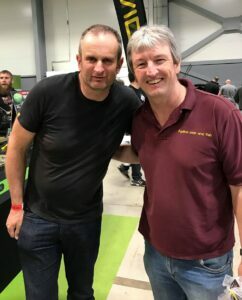 I must admit I didn’t think it was as good as last year with the absence of some of my favourite stands and I didn’t buy as much gear as I’d planned to but I’d still recommend it as there’s loads to see and do with stars of the angling world everywhere you look.